Temple Rodeph Torah seeks to build an active and engaged Jewish community, one person at a time. We cherish and reimagine our time-honored traditions to make them ever more relevant and precious in our modern lives. 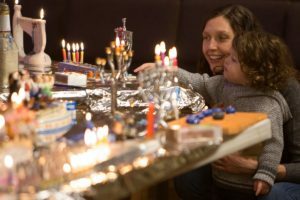 These traditions will help to enrich and ensure a Jewish future through worship, spirituality, education, celebration and acts of loving-kindness. Join us.